There we go! It’s all over! What a great Summer Reading Program we had this year. A special thanks to all who participated, and thanks to all our sponsors that helped us put the program on. In total we had 410 young people participate in the SRP; 92 of them were preschool aged, 209 were school aged, 68 were teenagers, and 41 came from daycare programs! Tadpoles submitted 228 early literacy sheets, Frogs read for 1722 hours, and the Teens read 1048 hours. Everyone did a great job and we hope to see you keep coming to the library to get books during the school year. However the SRP wasn’t just for the children, we had an adult program as well. There was a total of 100 adult readers who read a total of 350 books. That’s more than 3 books a person! We have compiled a list of all the books that were rated with 5 stars, which you can find at Jenifer’s desk. What more can be said! 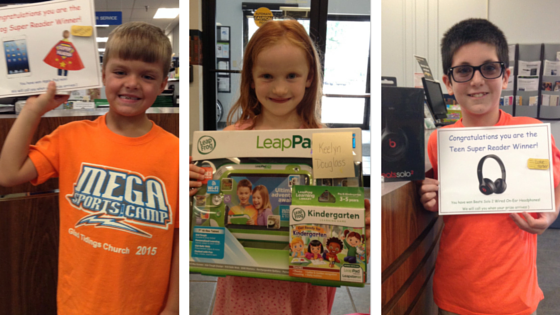 These kids did a great job reading and won the raffle drawings for the Super Reader prizes. The Tadpoles winner won the LeadFrog Leap Pad, the Frogs winner won an iPad mini, and the Teen winner won a set of Beats headphones. 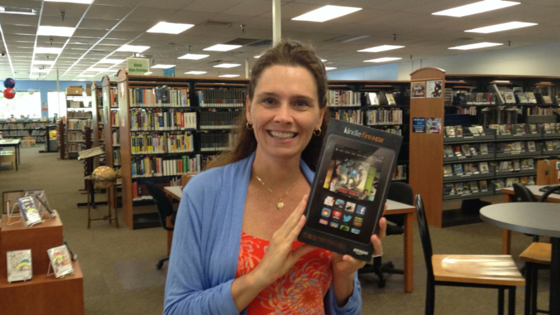 The Adult winner won a Kindle Fire HDX. 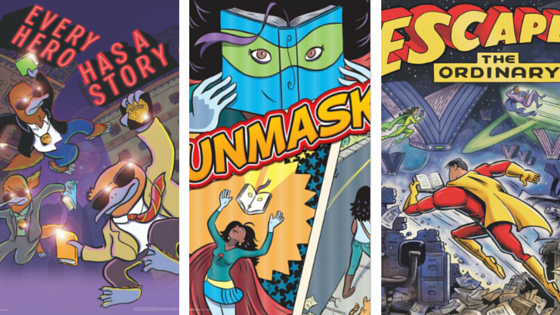 Once again, thanks to everyone involved and who participated in our Summer Reading Program. You helped make this year a success and we hope to see you again next year!